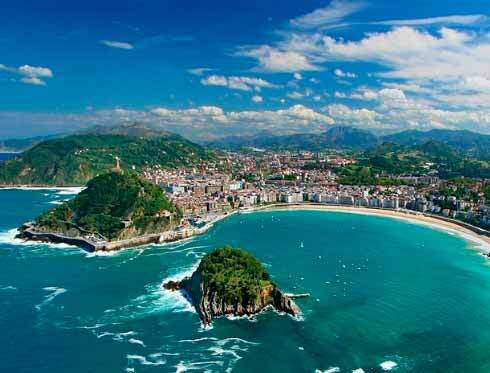 Donosti offers the opportunity to get to know the most authentic Christmas characters of the Basque culture. Olentzero y Mari Domingi come from the mountains on the 24th of December to answer the children´s wishes which arrive to them by the thousands of letters that they receive. This is a long waited event for all the habitants and visitors of the city. People from all ages go to meet the couple and celebrate together their arrival to Donosti. Who are these characters? Olentzero is a mythological coal merchant who is represented like a corpulent man, stained with coal, with a pipe in his mouth, who lives in the mountains. In the last 20 years it was introduced the figure of Mari Domingi, a woman who was mentioned in a traditional song in Euskera language like the wife or couple of Olentzero. Nowadays, this couple is one of the indispensable elements of the Christmas Holidays in the Basque country: they not only give the Christmas presents to the children but also they announce the Jesus` birth. They are represented in decoration figures which are places in the houses and on the streets; and they are lead characters in popular celebrations like processions and welcome parades of Olentzero, gifts giving, etc. 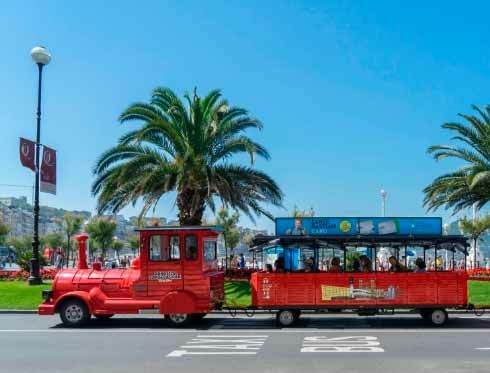 To meet Olentzero and Mary Domingi on their arrival to Donosti, get on board of the tourist bus San Sebastian City Tour and get off on the stop nº 2 Paseo Nuevo II of the official bus tour. You could take a part in the multiple activities which are organized on this day like workshops, distribution of chestnuts or you can follow the crowd and walk the main streets of the town singing the typical songs. 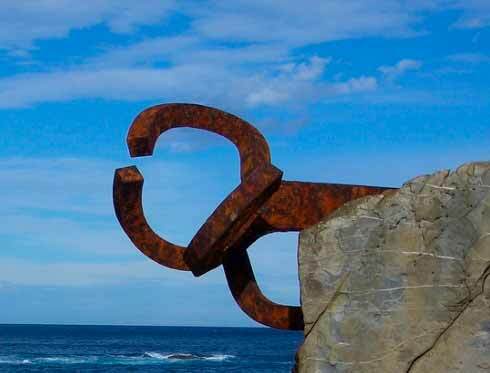 So that you do not miss nothing from the celebrations and the obligatory sightseeing points of the city, get advantage of the hop on hop off service of the panoramic bus Donostia-San Sebastian City Tour and get off in the places you choose.